When I Found out The Kentucky Headhunters was doing a concert in my town, I started thinking how great it would be to meet Fred Young and possibly get a photo with him to share here in the magazine. Mike Braswell, my close friend, told me that he would be taking photos of the band, so I asked him if he could help me meet Fred. It was having my people call his people. I always wanted to do that. Mike talked to Bob Johnson who called Scott Keys who spoke to Fred. I wanted to be sure it would be alright to meet him and get some photos. I also asked if it would be okay to take a road trip to show Fred my drum collection also. I think that cinched the deal. 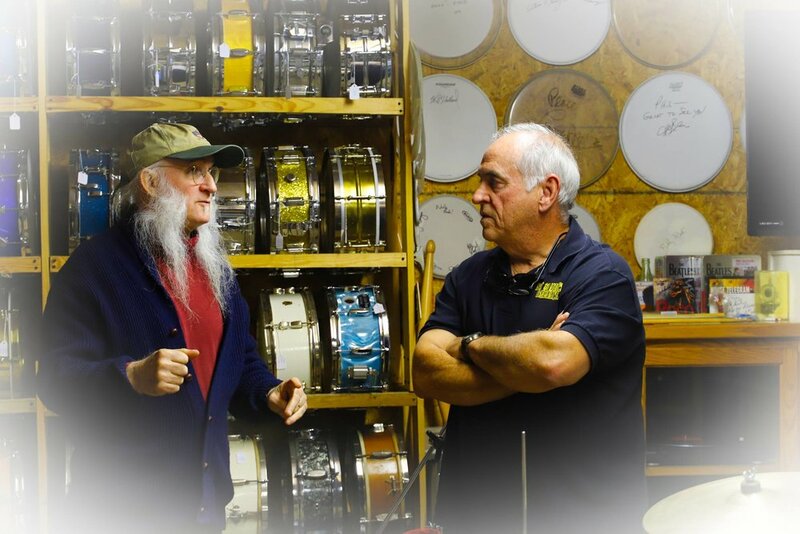 Fred and Scott love vintage drums. It was all set, I could come to the venue around 3:00 p.m., I think Fred sleeps pretty late, meet Scott, the road manager, meet other members of the band, and then meet the man himself, Fred Young. Mike and I had a lovely time on the tour bus with members of the opening act band, The Dukes, members of the Headhunters, and Scott. The guys were sharing funny road stories and memories. I could have listened all day. It is fun just to hear Fred talk with his thick Kentucky accent. He is a fantastic storyteller with a lot of knowledge about music, musicians, and gear. Fred took us inside the venue to see his iconic drum set. As you know, it is an eclectic set of vintage drums from the 1940s to the present. The drums are dusty, crusty, and beautiful. Scott told me no one is allowed to clean them or monkey with them in any way. Fred didn't want the "Mojo" disturbed. I was able to sit behind them. Fred sits very low on his stool. I did not so much as tap on the heads, but it was tempting to thump the big double bass drums. Scott, Mike, Fred and I traveled across town to visit my drum room. I think Fred had told Scott that it better not be a bunch of new modern drums he was going to see. I think Fred and Scott were pleased with what they saw. 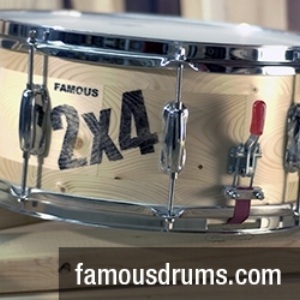 We opened cases and looked at the kind of drums that Fred knew and loved. I had a 1960s Ludwig Downbeat Ringo style kit set up. Fred asked if he could play them. I really hoped he would play them, and play them he did. He seemed to love that little kit. Fred delighted in showing us Ringo, Bernard Purdie, and Clyde Stubblefield beats. He is a great drummer. 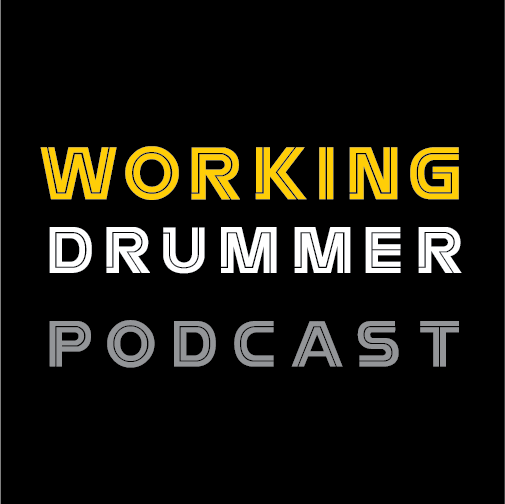 We had a great time talking about drummers, drums, and playing on the road. We even talked a little about farm tractors, something else Fred knows a lot about. When it was time to get back to the venue to meet the others to go out to eat, Scott started trying to pull Fred out of the drum room. It was not an easy task. I think he would have stayed longer if time would have allowed. We drove back to the venue, and Fred sat up front with me. He shared some of the trials he had faced and was now having. He knew I was a minister and was opening up about his faith. I was glad we also had that in common to share. I began to realize how hard it must be for road warriors like Fred to cope with everyday life struggles we all face with family and home. He declared it was his faith that helped him through it all. He told me he sometimes sat and did paradiddles saying "Thank you, dear Lord."